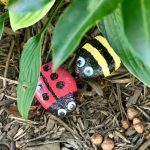 Taking a walk with the kids in the summer is even more fun when they have their eyes peeled for all the items on their Summer Nature Scavenger Hunt sheet. This activity makes them more aware of all the things going on around them that they might otherwise miss. This is just one of our printable adventures that you will find in the Printable category. 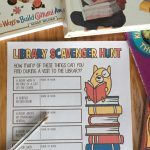 You might also like to create your own unique scavenger hunt by playing Rock Hide and Seek. Print out a sheet for each child and give them a marker or crayon to check off the items as they find them. Be prepared to answer a lot of questions because observing minds always want to know more.